The wire included in this Starter Kit would be enough to complete a model railway a resonable size layout. Should you require more wire, please contact us and we can provide an estimate for the amount of wire required. 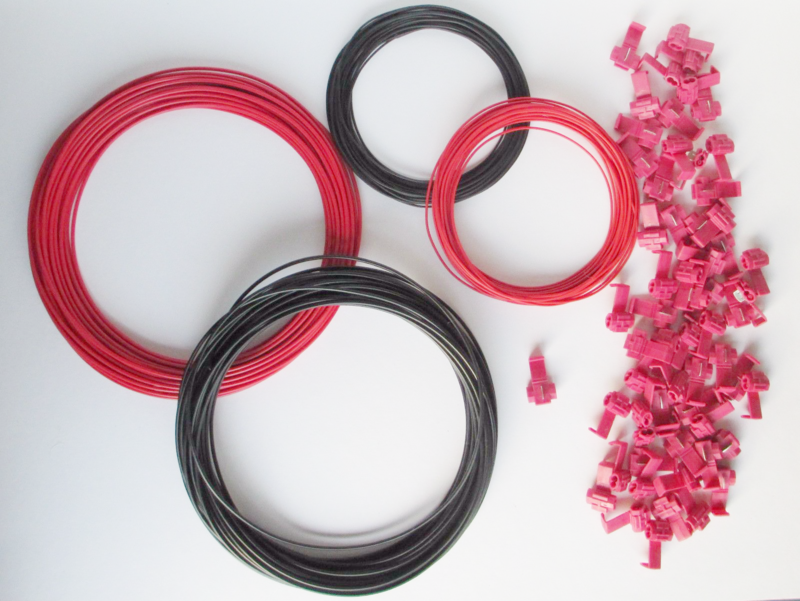 Additional Wire and Connectors are available, as are smaller starter kits. Please see our other products. 32/0.2 is for medium or larger DCC layouts, where multiple throttles are to be used and/or any form of power booster is incorporated in the layout. Dropper Wire is used in short lengths to link the track to the Track Bus. These are connected together using the Quick Splice Connectors. The Quick Splice Connectors are no solder IDC type. To use, simply push the connector over the Bus Wire and push the Dropper Wire into the other hole. Close the metal splice with a pair of pliers and then fold the insulating clip over.